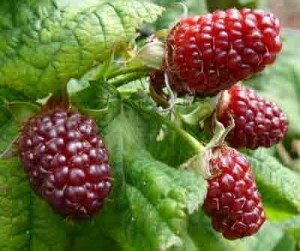 Tayberries are easy to prune by following these 4 steps in late summer. 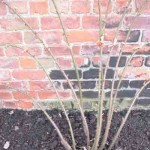 3. tie the new stems, which have grown this year & have not produced any berries, in place to replace the old canes. 4. remove the weaker stems, only keep the strongest new canes. They need plenty of space and light to grow well. If they are too crowded, disease will easily take over. Don’t prune any first year stems, they will be the ones which produce tayberries next year. Next April, examine the new stems to check that they are all getting enough light and that air can circulate round them( reduce disease). Cut back up to 25% of those which are growing very vigorously, to ensure those that are left get light and free circulation of air. It is not difficult to prune Tayberries in these 4 steps, and it is worth doing it just after the fruit harvest so that the new stems have a chance to develop into strong canes for bearing fruit next year.